Our Echt location is fully equipped for any kind of horse quarantine, regardless of the destination. Our long-stay stable consists of various fully equipped compartments. Each element can be separated from the next and function as an isolated unit for a horse in quarantine. The quarantine demands and lengths differ per country. The United States require no quarantine prior to travelling there. These horses can therefore blend in with other horses. The US do require a number of blood tests as well as an additional CEM test for mares and stallions. Naturally, vaccinations and passports are to be in order. If they are, the NVWA (Netherlands Food and Consumer Product Safety Authority) health certificate can be issued. Please note that all the blood tests required for this certificate, for the US as well as other countries, are to be handled by the Lelystad laboratory. Horses with destination US are tested for strangles, dourine, equine infectious anaemia and equine piroplasmosis. Horses need to be free of these diseases. When the tests on arrival turn out to be positive after all, the horses are sent back. Many countries do not require quarantine, only blood tests. Some countries however do prescribe a quarantine period. Canada for example requires a quarantine period in case of permanent export. The quarantine equals the time it takes to produce the blood results. In case of CEM testing for mares we should be able to acquire the certificate eight days from when the sample was taken. The sample needs to reach the lab within 24 hours and it takes seven days for the result to be final. In case of a gelding this period can be shortened even as there is no need for CEM testing. 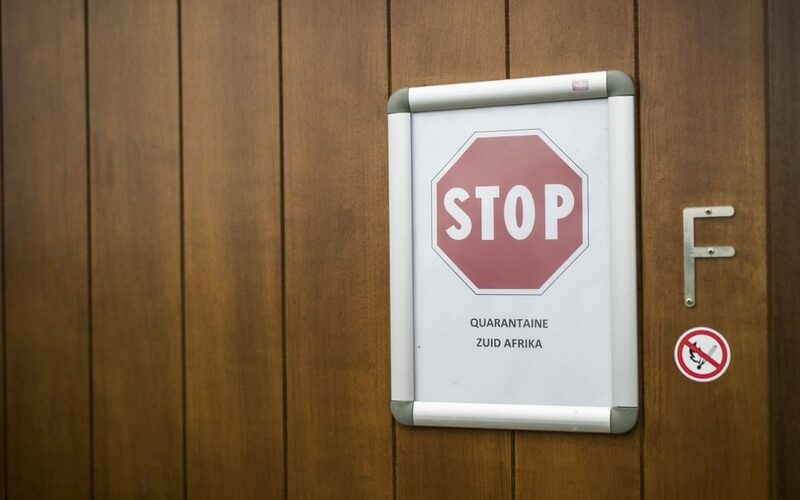 Countries such as China, Mexico and South Africa require a longer quarantine period, usually around four weeks, plus the quarantine requirement when the horse arrives at its destination. The horse is then tested on a regular basis. CEM testing for example is done every seven days because of the incubation period. A horse might test negative for CEM on arrival but could in theory have been infected shortly before the quarantine. The countries mentioned also require internal and external parasite treatments a number of days before the flight. It is possible for the quarantine to take place at a private venue, under the condition that all instructions are followed by everyone at all times. If not, this can cause a chain of effects. If something is not in order, this can lead to problems in the country of destination, which is very inconvenient if a horse has just arrived in let’s say Japan. It wouldn’t be the first time this happens and the authorities have to turn to us after all with their questions. Adequate quarantine is naturally in the best interest of the individual horse, but also of the entire horse industry. A supposedly “illegal” horse arriving in the country of destination may lead that country to no longer regard the Netherlands as trustworthy, which can greatly impact the export from our country. To prevent this from happening is the responsibility of us all.